Chris Savage was born to farming parents in Victoria Australia. 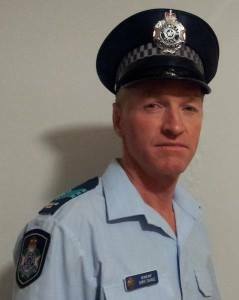 At 29 years he joined the Queensland Police Service and whilst training at the Oxley Academy was given a routine Hepatitis B Vaccine which was followed by a serious adverse reaction. Over the next 20 years in the State police Sergeant Chris Savage was called upon to investigate sudden infant deaths and consequently saw first hand how parents are being blamed for damage that he says evidence clearly pointed to vaccines being the cause. He also saw several parents falsely accused and processed through the justice system and imprisoned. He endeavored to assist these parents but the police hierarchy ultimately became aware of his activities and organised a campaign of harassment which resulted in Sergeant Savage leaving the Queensland Police Service in October 2011. Chris Savage speaks out about his experience and how vaccines are harming everyone and assists parents falsely accused of Shaken Baby Syndrome. 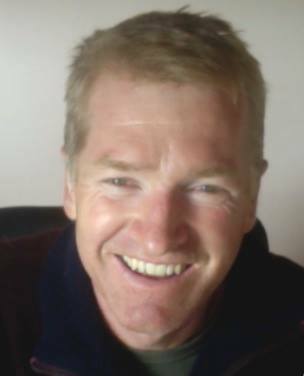 After Dr. Carley’s only child was brain damaged as a result of inoculations he received, Dr. Carley learned how to reverse the damage with homeopathy and other natural supplements, and subsequently realized that inoculations of disease are causing the corruption in the immune system which leads to all autoimmune diseases and cancer. Dr. Carley has developed the Hippocrates Protocol which has successfully reversed all autoimmune diseases (including autism) and cancer in over 2,000 clients (including pets) over the past 9 years. She has written the definitive paper explaining the mechanism whereby inoculations with disease are causing VIDS (Vaccine Induced Diseases), which has been featured in multiple publications all over the world and is available under the title “Inoculations: the True Weapons of Mass Destruction” on her website at www.drcarley.com. She has offered a $10,000 reward for any vaccine promoter to come on her internet radio show and refute the documents she has authored. No one has stepped forward to do so. Dr. Carley has been qualified in court as an expert witness in VIDS, Legal Abuse Syndrome, Vaccinology, and child abuse. Besides being a guest on over 200 radio and television shows, for over 9 years Dr. Carley had her own weekly public access television show in Long Island, followed by a weekly internet radio show now on www.bbsradio.com (Station 2) on Thursdays at 8:30 PM EST and on www.republicbroadcasting.org on Wednesdays at 12 noon EST, all entitled “What’s Ailing America” (archives are also available for both internet shows). Dr. Carley is also available to give talks to interested groups to teach what she has learned about vaccine induced diseases, and how they can be reversed; and has developed a course through the “Hippocrates Academy” where interested students can learn and be certified how to do the Hippocrates Protocol developed by Dr. Carley, which reverses all autoimmune diseases and cancer in people and in pets using natural therapies.